Myrtle Beach, South Carolina is an incredibly popular summertime destination. However, visiting Myrtle Beach in the winter offers a lot of fantastic things to do for incredibly low prices. In fact, my family and I are able to stay in an ocean-front suite at Myrtle Beaches’ Monterey Bay Suites for under $75 per night. 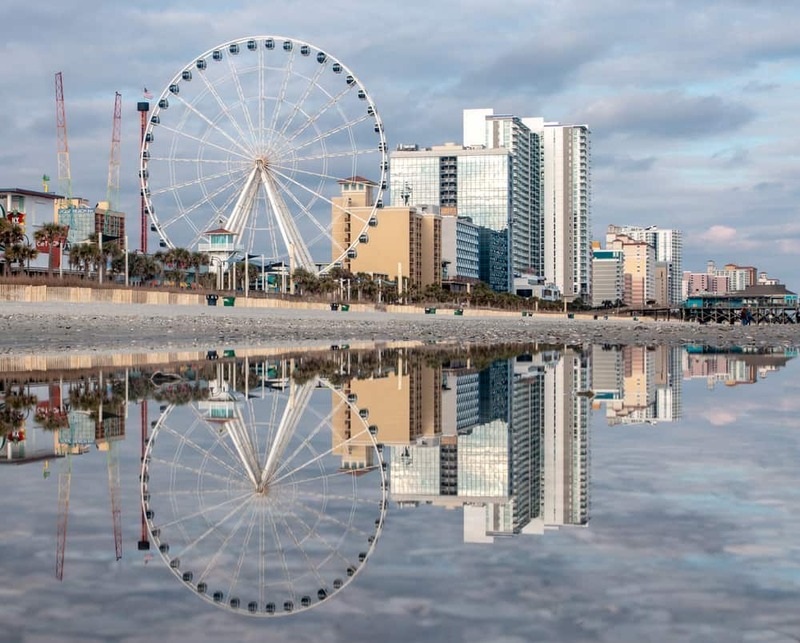 Not only are prices incredibly low, but there are many fun things to do in Myrtle Beach in winter. Because of this, we often come down in January and stay for several weeks. While not every attraction, restaurant, or shop is open, there are plenty of great things for the whole family to do here, and the weather is typically warm enough (at least for those coming from more northern climates) that you can spend time outside while visiting. Here are a few of my family’s favorite things to do in Myrtle Beach in winter. 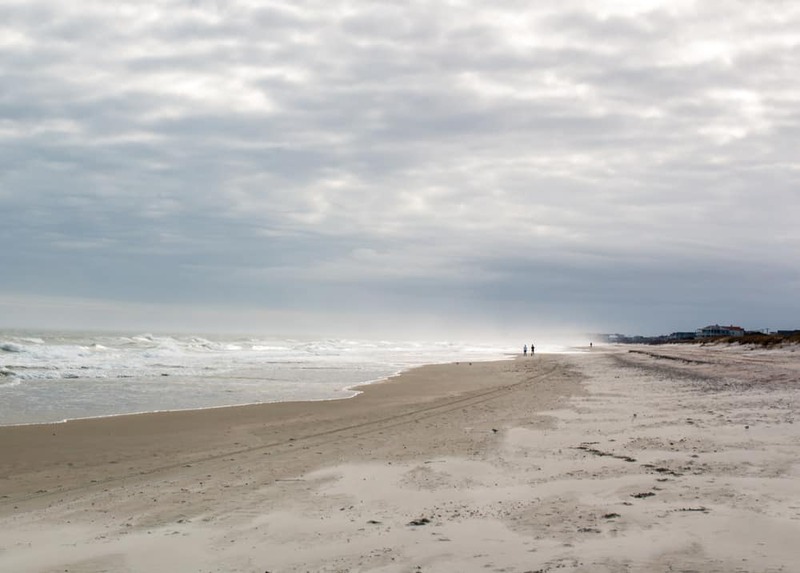 The beaches in Myrtle Beach are practically deserted during the winter. True, it might be a bit cold to go swimming in the ocean during the winter in Myrtle Beach (though I have seen people doing it), but the weather is perfect for walking the beach, going beach combing, or playing in the sand. Thanks to it being the off-season, there are very few people on the beach in Myrtle Beach during the winter. This means that you’ll have almost the entirety of the city’s beautiful white beach to yourself. While taking a peaceful stroll next to the crash waves, keep an eye on the sand. Since there are fewer people around, the chance to find great shells or sea glass is much better as there won’t be as many people looking for treasures. 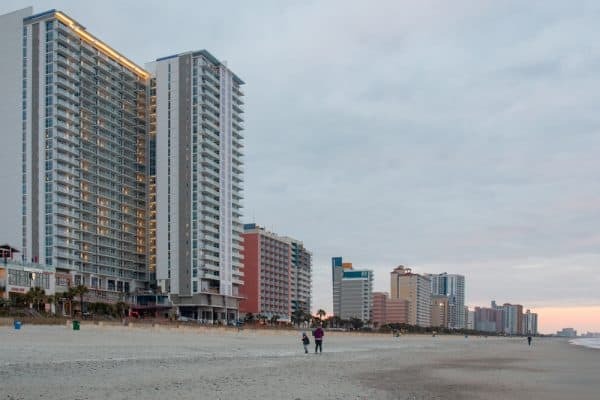 There are many great things to do in Myrtle Beach, South Carolina, during the winter. Myrtle Beach is known as the “Golf Capital of the World,” so those that love to tee up will have plenty to keep them busy. In fact, there are 100 golf courses in and around the Grand Strand! Whether you want to play on a premier championship-level course or just want a fun par-3 experience, there’s a bit of something for every golfer in Myrtle Beach, SC. 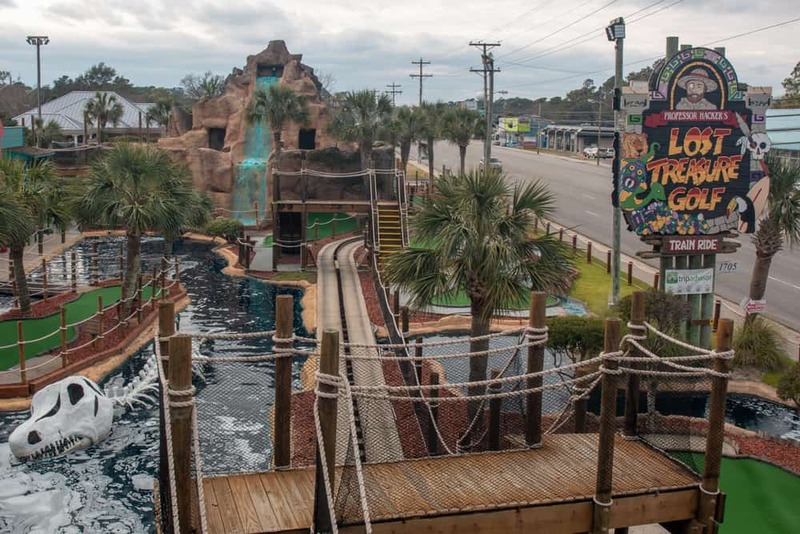 There are many fun mini golf courses open in Myrtle Beach during the winter. In addition to regular golf, Myrtle Beach is known for its many great mini golf courses. Putt-putt golf in Myrtle Beach is taken very seriously, and it’s even home to the ProMiniGolf Association’s annual Master’s tournament (Yes, professional mini golf). Dozens of fantastic mini golf courses can be found throughout Myrtle Beach and North Myrtle Beach that offer a variety of themes and difficulty levels. While some of the courses close entirely during a portion of the winter, many are open on weekends, with some staying open more days of the week. Thanks to the lighter crowds at Myrtle Beach in the winter, there isn’t as much of a rush to play quickly, and the entire family can really have a great time. There is a lot of great shopping in Myrtle Beach such as at Broadway at the Beach. 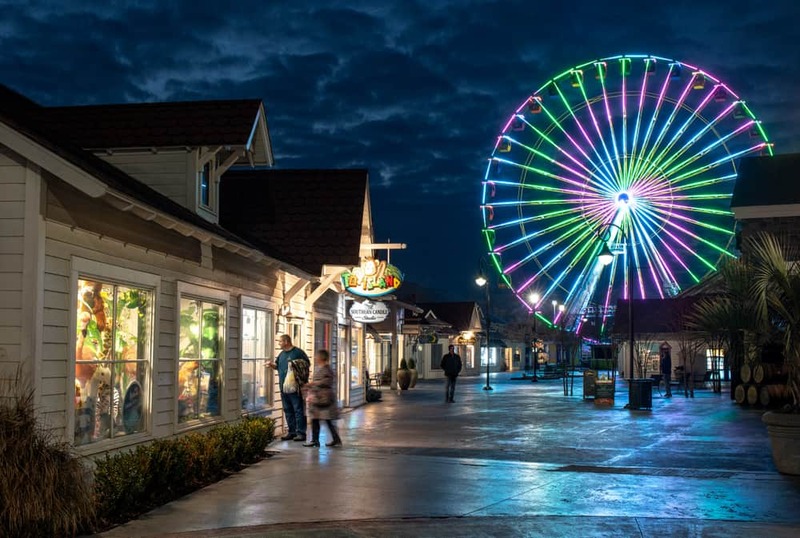 Myrtle Beach has many fantastic places to go shopping including outlet malls, shopping centers nestled around lakes, and classic gift shops. These shopping areas are almost universally open during the winter, with many offering fantastic deals to entice visitors and locals to come out during the slow season. My favorite shopping areas include Broadway at the Beach, Barefoot Landing, and Gay Dolphin Gift Cove in downtown Myrtle Beach (which also features a great arcade that is open in the wintertime). Throughout Myrtle Beach, you’ll see signs offering inexpensive helicopter rides. These rides start at $20 and are a great way to see the city, beach, and ocean from above. Helicopter Adventures offers a variety of options for helicopter rides, including some that will take you far north of Myrtle Beach. They operate year-round and require no reservations for tours. While I’ve yet to have a chance to go on a ride with them, they have a perfect safety record, so you’re sure to have a great time. 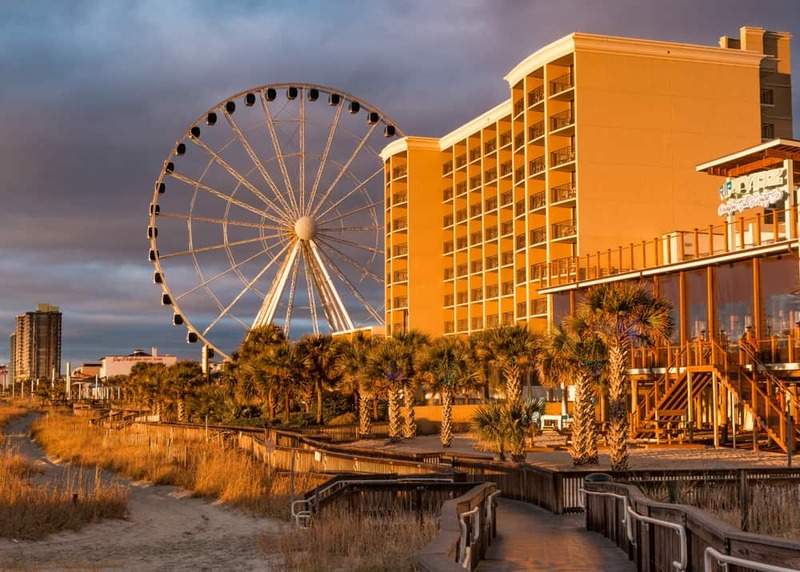 The Myrtle Beach SkyWheel offers panoramic views of the Grand Strand. The Myrtle Beach SkyWheel dominates the skyline along the boardwalk in downtown Myrtle Beach. Visitors climb into the climate-controlled gondolas as this Ferris wheel takes you almost 200 feet into the air. From the top of the SkyWheel, you’ll have a fantastic view of the Grand Strand and the Atlantic Ocean. Animal lovers won’t want to miss Ripley’s Aquarium. Located at Broadway at the Beach, Ripley’s features many different exhibits that highlight aquatic species from all over the world. One highlight is the 340-foot tunnel that allows visitors to walk through a tank filled with sharks, sea turtles, eels, and more. There is also a stingray exhibit where you can touch these creatures and dozens of other tanks filled with beautiful animals. The aquarium also offers unique experiences like a glass-bottom boat ride, the chance to swim with sharks, and much more. Huntingdon Beach State Park is a beautiful spot to visit during the winter. A few miles south of Myrtle Beach is the beautiful Huntington Beach State Park. This park is one of the most beautiful spots near Myrtle Beach and offers the chance to explore a deserted beach (at least in the wintertime) and some short hiking trails. The focal point of the park is Atalaya, a Moorish-style home that looks very out of place in South Carolina and reminded me a lot of the temples of Angkor in Cambodia. Tours are offered of the home, or you can simply enjoy its beauty from the outside and by peering in its windows, as I did. While you might not be able to see the park’s wildlife (like alligators) during the winter months, this is still a beautiful spot to visit. Myrtle Beach is known for the many great places to eat and some of the most popular are the seafood buffets. While some of these are closed during the winter months, there are plenty that are open year round. I’ve eaten at both Captain George’s Seafood Buffet and The Original Benjamin’s Calabash Seafood and have thoroughly enjoyed both. If you’d rather not eat seafood, I highly recommend the buffet at Simply Southern Smokehouse. The food is delicious, and it has to be one of the best dining deals in Myrtle Beach. 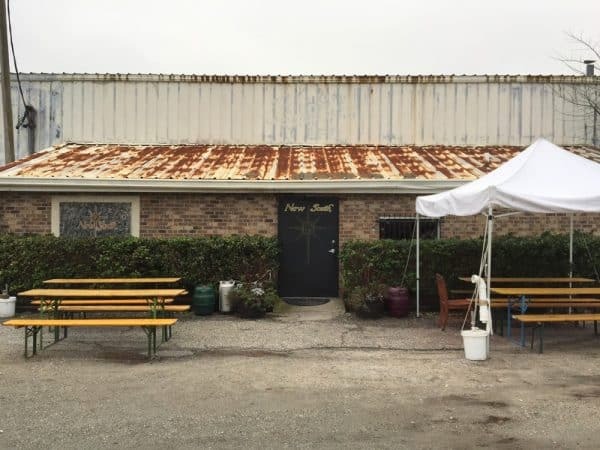 New South Brewing has been in Myrtle Beach for 20 years. New South Brewing is a fantastic brewery in Myrtle Beach, South Carolina. Started 20 years ago, this brewery offers delicious beers that you can find throughout the Grand Strand. However, if you want to visit the source, New South’s brewery is a great spot to visit. Their tasting room is open throughout the winter, and they also offer fantastic brewery tours on select days during the off-season in Myrtle Beach. 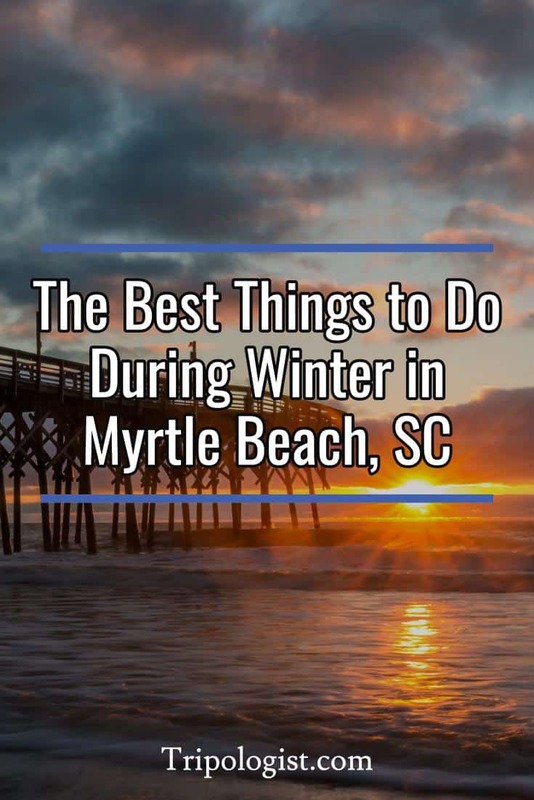 Do you have a favorite thing to do in Myrtle Beach in the winter? Let us know in the comments below. Want to visit other great beach destinations around the world? 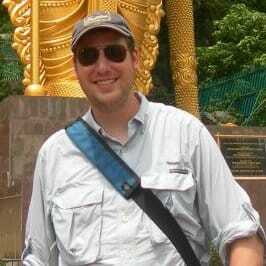 Check out the beaches in Sochi, Russia, Tioman Island in Malaysia, and Muui-do in South Korea.